What is the Naturalist Center? 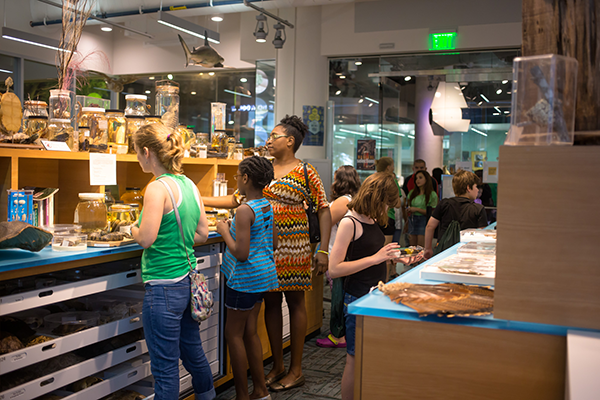 The Naturalist Center provides visitors access to an extensive collection of specimens for individual research, student exploration, or for general interest. Collections include birds, mammals, reptiles, amphibians, fishes, insects, plants, fossils, rocks, minerals and more. Learn more about some specimens using two interactive computer field guides. 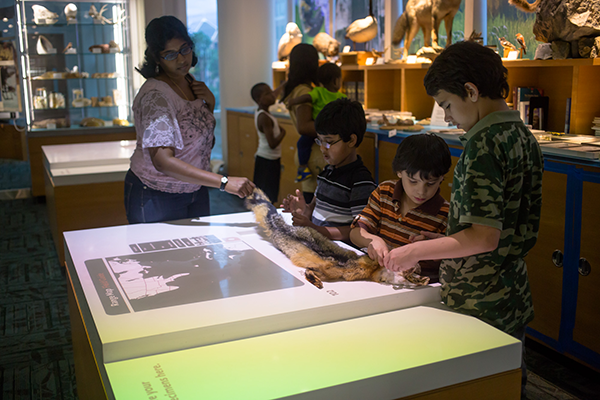 Staff can provide assistance with self-directed exploration in the Naturalist Center. Last entry every day is 3:45 pm. Ages: All ages are welcome, however, main collection areas are restricted to children 8 years or older. There is an activity area for younger children or groups with mixed ages. Naturalist Center specimens are prepared, cataloged, and managed according to the standards detailed in the Naturalist Center Collections Management Policy. Volunteers greet and assist Naturalist Center visitors as they interact with specimens and resources. Training: On-the-job training; Knowledge of native plants and animals is helpful, but not required. Your question has been received by our Naturalists. Thank You!